It is still summer according to the calendar. But school starts tomorrow, so for all practical purposes, summer is over. The summer has been great fun, with camps, mission trips and slumber parties. It’s been a little tricky coordinating it all, but it’s been joyful to watch my kids have fun. I remember being a kid and summer coming to an end. It’s bittersweet. You want to continue the fun, but you want to see your friends too. So I’m going to make this unofficial last day of summer all about my kids. I’m not talking about getting them ready for school, all that is done. I want them to enjoy this last day of summer. So after church, we’ll do whatever they want to do. I’m sure it will involve swimming. It will be a fun family time, we will play and laugh. Then I’ll make their favorite simple dinner and favorite dessert. There will be lots of pictures. I love these family moments. But it will end early. No more late nights for these kids. It’s time to get back into the routine of school, music lessons and sport practices. It’s time to grow and learn. It’s the unofficial last day of summer. Make it a great day. This entry was posted in Christ and tagged Last day of Summer, School, Summer, Swimming. Bookmark the permalink. Sounds teriffic! I’ll bet you and the Mr. are great parents. And going to church, first? Priceless! Thanks Daryl. I don’t know how good of Parents we are, so we have to start with Church first. Thanks for stopping by today. 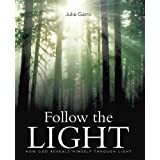 Follow the Light Bible Study, written by Julie Garro, Now Available! Click on the picture to order a copy. 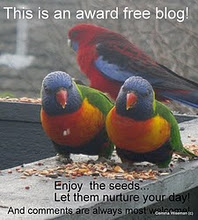 All inspiration comes from God, so the glory belongs to Him alone. What Does It Mean to be Truly Thankful?